Pinterest is the hottest social networking platform and has over taken some of the established social networking platforms by a big margin. Are you still wasting your time with Digg and Stumbleupon? Its time to start pinning. Let me share how you can get started with Pinterest. Pinterest is the hottest social networking platform of 2011 and has over taken some of the established social networking platforms by a big margin. Are you still wasting your time with Digg and Stumbleupon? Its time to start pinning. Let me share how you can get started with Pinterest. Pinterest is a social network that allows users to share and discover new interests by pinning images, videos or content to pinboards that have a common theme. As with any social network, users can either upload from their computer or pin things they find on the web using pin it button. Apart from that Pinterest is well integrated with other social networking platform and so when others are browsing through pins, they will also have the ability to share through Facebook, Twitter or email. Online businesses rely on driving traffic to websites. Many independent studies have shown that Pinterest is more effective at driving traffic compared to other social networking sites like LinkedIn or Google+. On top of that every single pin includes a link back to the source of the element (Image or video). If an image is pinned, it will link back to the page where the image was found. However, these are no-follow links and so will not help much in SEO but then the pinners and re-pinners can visit your pages. We all know social networking sites are not well monetized because advertising revenue model does not work that well on them. May be one of the reason why we don’t see ads on twitter and Google+ but Pinterest is different. Pinterest is still in beta and is already making money. They partnered with Skimlinks, which automatically scans through every link posted on the site to see if it can convert that link into an affiliate link and ensures pinterest will make cash from sales generated from pinned links. Pinterest has taken a unique path of generating revenue early. How to get a Pinterest Account? Pinterest account can only be created with an invite. Visit www.pinterest.com, click “œrequest an Invite,” and enter your email address to be notified when you have access to create your account, or you can ask a friend who already has a pinterest account to invite you. If you are looking for pinterest invite share your interest in comments and I can invite you. Can I use Pinterest for marketing? Pinterest is designed to categorize and share things you love and not a tool for promotion but if you’re a blogger, a pinboard on your blog topic would not be a bad idea. You can find my Internet Marketing Pin Board here. Any social network requires building followers for networking and traffic. However, pinterest is a lot different when it comes to following users. In typical social networking terms you follow people on twitter, facebook and linkedIn but pinterest has option to follow interest (specific pinboard) of a user. It makes much more sense. I blog about Internet Marketing and Technical Analysis but people reading this blog may not be interested in knowing what I do in Indian equity market. So you can follow me on Pinterest or my Internet Marketing Board on Pinterest. Add your pinterest pinboard everywhere you can. Add pinterest follow button to your website. Create the best board on a topic and don’t hesitate to promote other users’ pins to enhance your collection. Promote your presence of Pinterest on Facebook, LinkedIn, Google+, and Twitter. I have just sent a request and joined the waiting list . through internet marketing because I was really intrigued by your pinterest blog on the same..
Jackson, if you want an invite, you can contact me. Regarding making money online, I have the free course which speaks about ways I make money online (aka freelancing, blogging …) opt for the one that suits you the most. Its Relay Good Share. I already send my Invitation request on Pinterest and they Invited me to Join Pinteres. The pleasure is all mine Amrik. I’ve used pinterest to optimize my site and the result was amazing my site was jumped from #234 to #9 in few weeks time. The trick is we must got our website pinned and repinned by many people this is the hardest part. Most of pinterest users won’t doing repin when they aren’t like what we pinned. I do simple thing to outsource it on fiverr and got my site pinned by more than 70 people, I don’t know how can he did it just search by typing pinterest on fiverr and you will find it. 5. The President now pinning on Pinterest lol. I don’t see the links are dofollow, they are nofollow links but yes they support anchor text and Google interest in Social Media can just help. Fiverr is a great place to buy lot of things for cheap. James! Thats am amazing figure from 234 to 9. However from my observation, most users are interested in pinning common stuffs like sports,movies and other entertainment stuff or humanity things. If one has to pin other brand, either the brand has to be really big or should provide quality stuff at cheap price. May I know what is the stuff you pinned if it is not confidential?? And your SEO view about pinterest is very helpful. 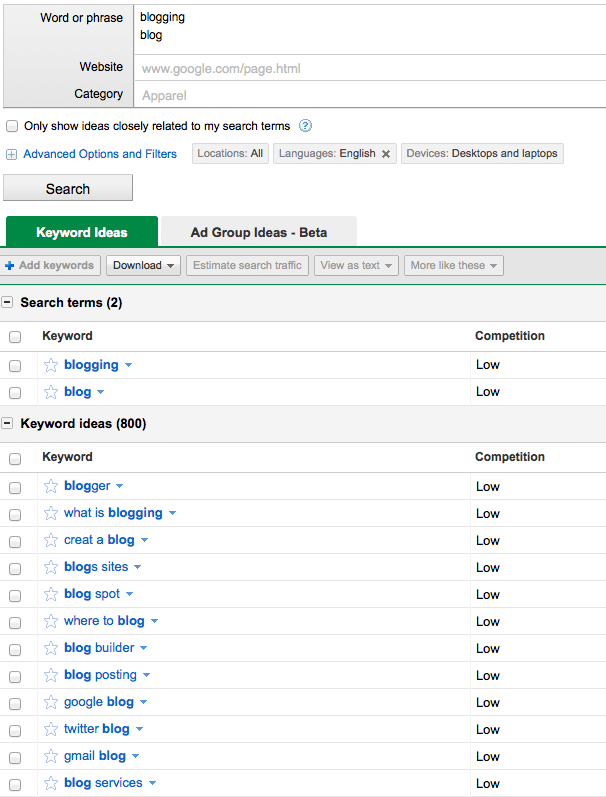 Why I don’t Recommend Google’s keyword Tool for SEO?